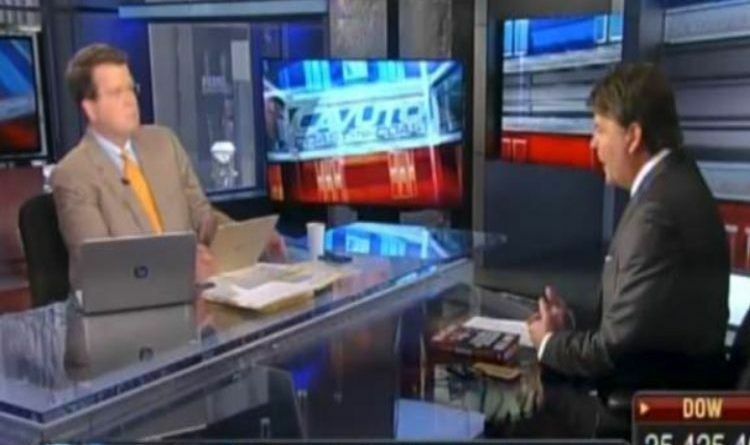 On Friday, attorney Gregg Jarrett appeared on FOX Business Network where he discussed his best-selling book The Russia Hoax: The Illicit Scheme to Clear Hillary Clinton and Frame Donald Trump with host Neil Cavuto. However, it was evident the whole time that Neil could not hide his disgust for President Trump. Luckily, the legal analyst for Fox News, Gregg Jarrett calmly used a scalpel to dissect Cavuto’s specious arguments. One more point, Cavuto interrupted Gregg Jarrett too much which may have been a tactic to get him off his game. It didn’t work. During the interview, Cavuto expressed”concern” a number of times – and apparently wished Jarrett were more “concerned” – but never tells us what those “concerns” are (or should be). Just another guy who forecasted dire things for a Trump presidency, and is now panicked he will be proven wrong. Truly sad. I just feel sad when I watch Cavuto and tuned in today hoping he could at least give President Trump credit for this great GDP number and celebrate good news for the country. But, he just couldn’t do it- it’s a shame. Luckily, Gregg Jarrett showed him better. He is an excellent meticulous Lawyer who knows the facts as well as anyone. Gregg has grown on me. He has decided to fight for what’s right instead of joining the swamp on Fox. ← United Airlines Donating Flights to Reunite Illegal Immigrants-Boycott Them Now!